When I have to go to work, my morning routine is pretty much me rushing around after I have pressed the snooze button for the third time. Harry and I moved house last year, and now the commute to work is a lot longer. It used to be 5 minutes but now it is half an hour which is a huge difference, and means I don't get any more lie-ins. I get to work for 8 am and try to wake up for 6:30 am, once I am up I make sure to do my skincare routine as I have gotten so lazy at this and had stopped for a while. I use the Simple Refreshing Wash Gel which works wonders for my skin and also wakes me up as I use cold water on my face to wash it off then hot water on a towel to dab on my face. After that, I use Clean and Clear blackhead cleanser and Simple Kind to Skin Soothing Facial Toner. The most important thing to do in the morning is brushing your teeth though I never feel thoroughly clean and complete until I use mouthwash. 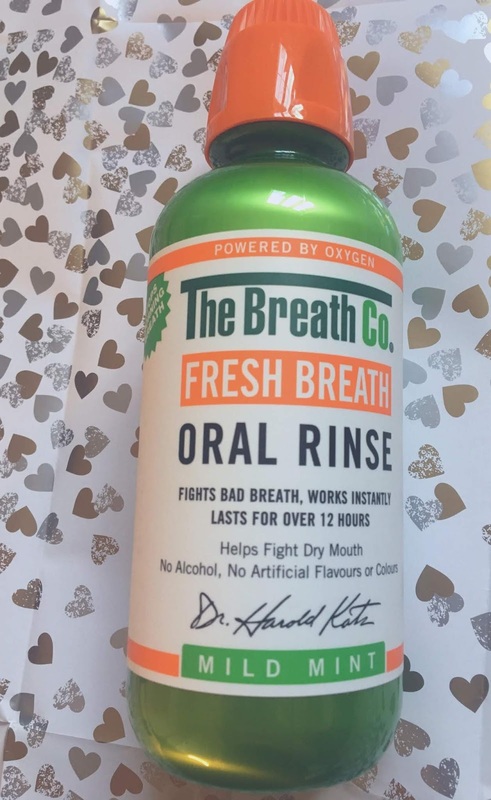 I am currently using The Breath Co. 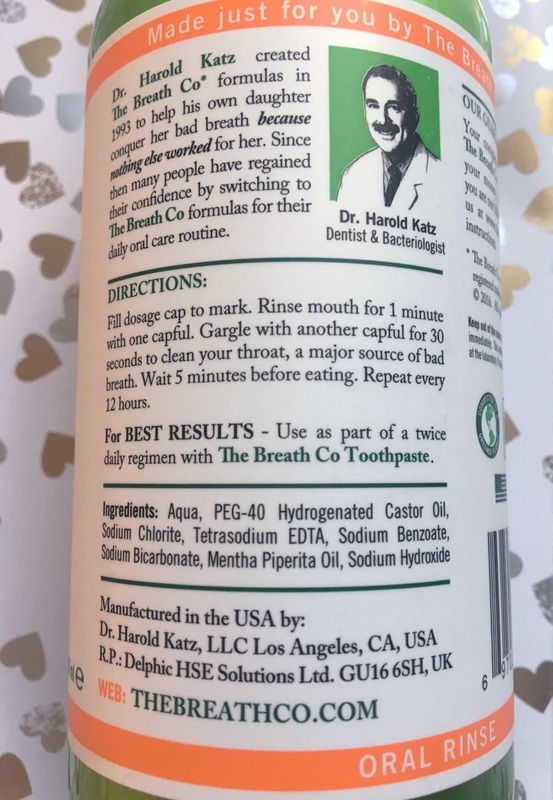 Oral Rinse, the formal in the mouthwash uses the natural germ-fighting power of oxygen to attack the source of bad breath odour and gum irritation. Now you’re probably thinking ‘she has bad breath? Ewww’ but I think it’s important to look after every single part of yourself plus it will leave you with a minty fresh breath at the end of it. Usually, I don't like using mouthwash, as it can tend to burn but this is far from it, this leaves you feeling fresh for 24 hours. You can find these at Boots and Superdrug stores and online too. I spend most of the morning putting makeup on I tend to not put loads on yet that never happens... I end up looking like someone of RuPaul's Drag Race. 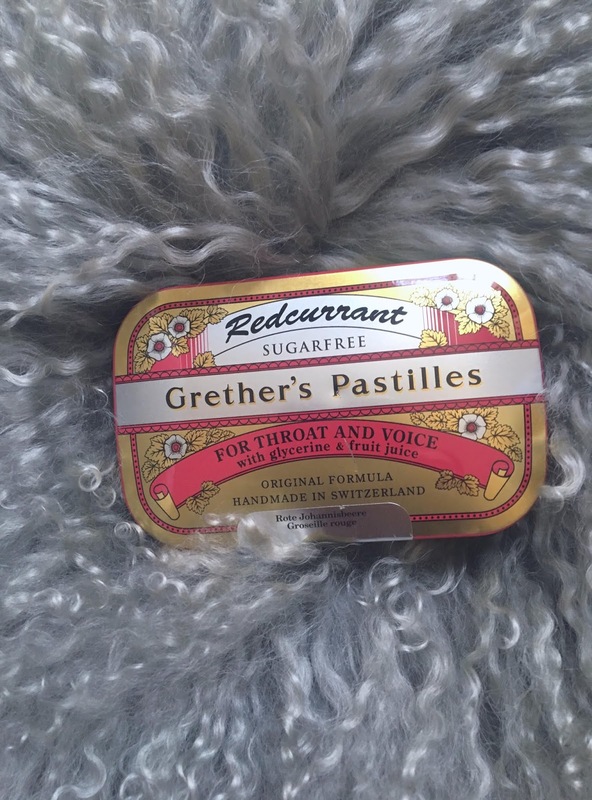 Finally, once I am out of my pyjamas and into my clothes, every morning I have been using Grether's Pastilles Redcurrants, and it's sugar-free too. I am always looking for something to have throughout the day especially in the morning as I said before driving takes around 40 minutes now and I eat breakfast at work so this helps me before I get this. They're beneficial soothing sore throats and voice strains – as someone who can get sore throats regularly and sings a lot in the car from the commuting, this is a must have for me. These are a firm favourite with A-lister including Ariana Grande and Katy Perry, each soothing saviour is formulated to ease sore throats and hoarseness, prevent dry mouth and come in both original and sugar-free versions making them suitable for consumption by diabetics. 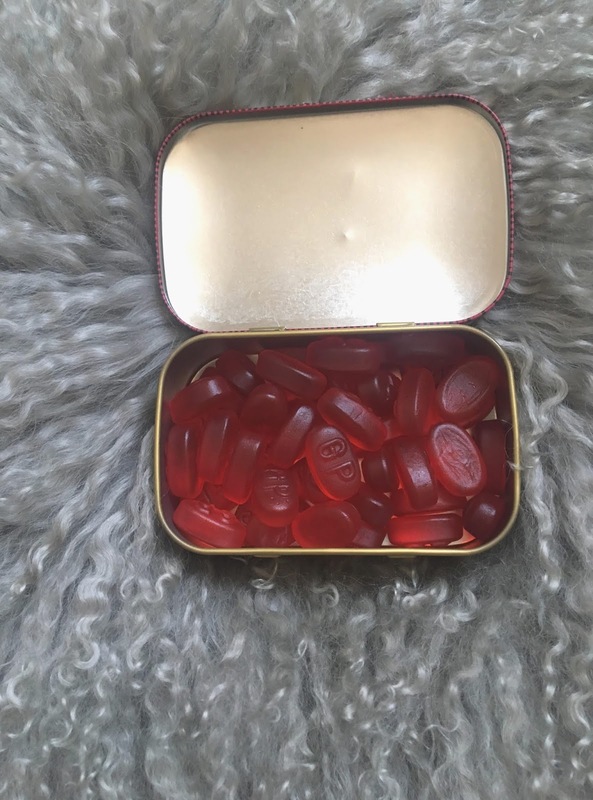 Beautifully wrapped in a highly coverable and portable gold tin, I am currently trying the redcurrants though they have three other deliciously intense fruity flavours including blackcurrant, delicate elderflower and super fruit blueberry. I feel ready for my day and also love having Grether's Pastilles whilst I am work. Do you have a simple morning routine or is yours rushed like mine? 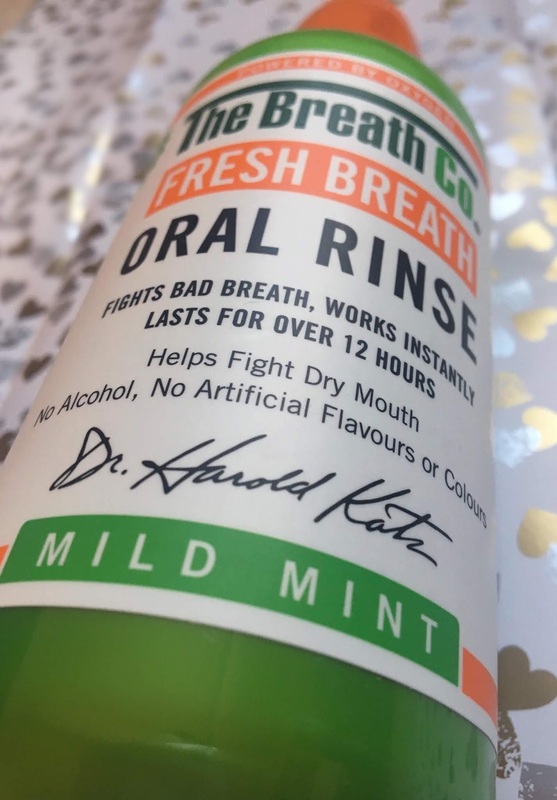 Lovely post, the mouthwash sounds great i also don't tend to use any at the moment because i couldn't find one that didnt "burn" so may have to give this a go! 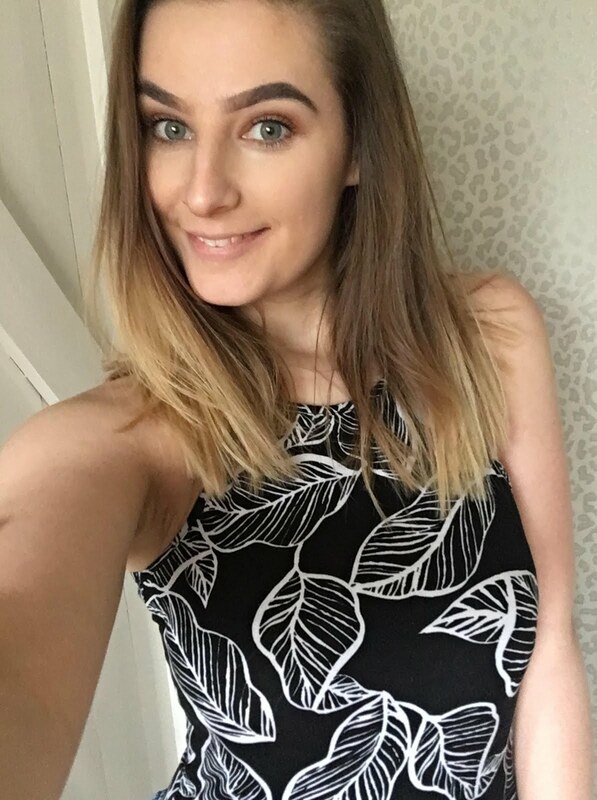 My morning routine is pretty simple as its normally rushed, usually i stay in bed for as long as i can and then only have 15 minutes to get out of the door for work haha! My morning routine is quite slow and relaxed, I spend a while after waking grounding myself in reality because I dream very vividly and often wake up feeling confused about what is real, and then making and eating breakfast is super important to me - usually eggs and chicken and spinach in some combination as I like to start the day with protein and eat carbs later in the day because they make me feel sleeeeeeepy! I have a bad habit for chewing gum, snacks and general rubbish to fuel my morning boredom at work. I think I will try these redcurrants they sounds healthy and tasty! Nice post, Jade. I had a problem with the bad breath odour as well, especially when I'm fasting. I find it useful to have a try for some mouthwash products just as you suggest.